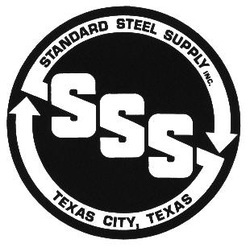 Standard Steel Supply, Inc. is a local supplier of steel, fasteners and general supplies for the Houston-Galveston area. We are proud to announce that we have over fifty years of experience servicing the petro-chemical and construction industries within this area with first quality products at competitive prices. We were awarded the Supplier of the Year Award, Division II, Houston Ship Channel Region by the Texas Chemical Council/Association of Chemical Industries (TCC/ACIT) for the years 2001 and 2003.
products. Industrial hardware such as turnbuckles, shackles, wire rope clips and cable are also in stock. Maintaining our own fleet of trucks, we are able to make daily deliveries to your plant site or job site. In addition, we are able to service our customers on a 24-hour basis.